Chennai, the capital city of Tamil Nadu, attracts many visitors. Chennai is the biggest economic,cultural and tourism centres in South India. The city has second largest collection of heritage buildings. Following are the list of places to visit in Chennai. Amir Mahal is located in the Royapettah of City. Amir Mahal was constructed in Indo-Saracenic Style in 1789. Nawab of Acrot used to live here along with his family since 1976. 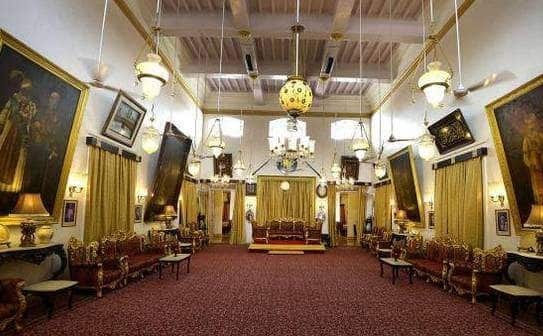 The successors of the Nawab Mohammad Abdul Ali and his three brothers still reside in the palace along with their family. Amir Mahal is one of the oldest heritage building. This palace has a mini cricket ground. There are about 80 rooms in the palace. Because of its royalty and historical session, it is considered as one of the most interesting place. ArtWorld is located on 3rd Street, Off Cenotaph Road, Teynampet in Chennai Artworld was established in 1965. Artworld was started by Bishwajit Banerjee and Sarala Banerjee. This is one of the oldest gallery in the city. This art center has a collection of modern and contemporary art. It has some amazing paintings by the best artists of the world. There is a separate section where some of the paintings are on sale at affordable rates. Fort St. George was built in the year 1640 by the Bristish East India Company. The fort has thick wasll. Fort St. George has St. Mary’s Church and the Fort Museum. St Mary’s Church was established in 1680. Tombstones are found inside the premises of the Fort St. George and it is oldest tombstones. The fort Museum has a wide collection of artifacts like Weapons, Canons, Shields, Uniforms, Manuscripts, Paintings, Letters, coins, medals of British era. The fort is now protected by Archaeological Survey of India. The church and museum is open for public to visit. Connemara Library is located on Pantheon Road, Egmore in Chennai. This Library was founded by 5th December 1896 by Former Governor of Madras, Lord Connermara. Connermara Library is one of the four national depository libraries of the country and therefore it receives every copies of all books and other texts that published in India. The Library includes collection of books, journals, magazines and Braille Manuscripts. A new building was added to the library in 1973. This building has a video room, a periodical hall and a reference room. Library has more than 6 lakhs book. Express Avenue is a mall in Royapettah of Chennai. Express Avenue was inaugurated in 2010. It has 4-star luxury lodging with 44 room capacity. But the mall is the main attraction of the place. Mall has many shops like H&M, pantaloons, Lifestyle and Big- Bazar. Mall also has gaming shop like PS4, PS3, PS2, PSP, Xbox 360, Ninetendo Wii and NDS. The mall also has kids play zone called Funcity and 5D theatre by Pix. It also has food counters like KFC, Pizza Hut and other South Indian, north Indian, American, Italian, street food and so on. It also has lounge bars and pubs like Entrée and Elixir. DakshinaChitra is located at Muttukadu in Chennai. DakshinaChitra is a cultural living museum of art, architecture, lifestyle and crafts. 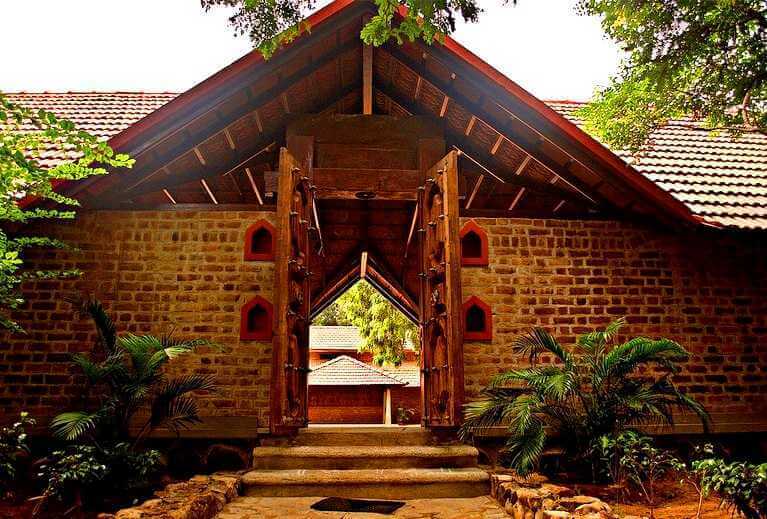 DakshinaChitra has a collection of 18 authentic historical houses. Visitors get to see the traditional lifestyle of those communities as they walk through each home. Syrian Christian Home has the furniture and Kitchen utensils used by the community. Museum hosts workshops, art exhibition and all kind of events that are related in promoting the south culture. They also have a craft shop where visitors can purchase everything from jewelry to toys. Ashatalakshmi Temple is located in Besant Nagar, Chennai and it is constructed with four stories. 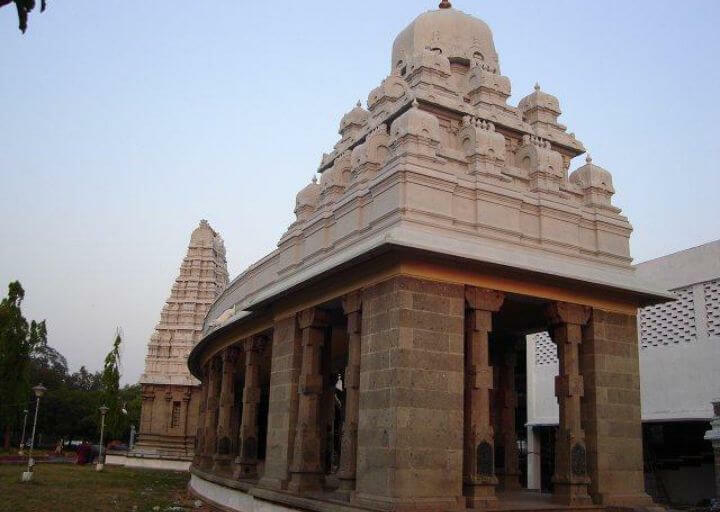 The Ashta Lakshmi Temple was built in 1976 by Mukkur Srinivasa Varadachariyar. 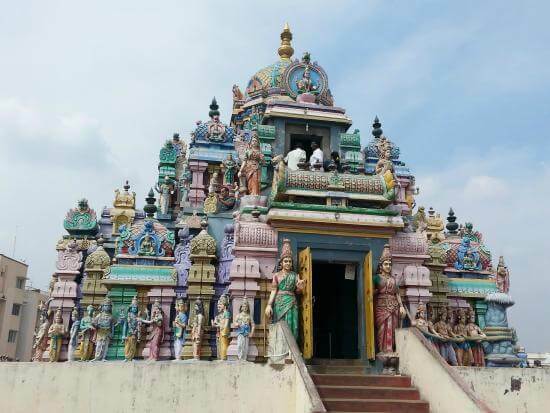 This temple is dedicated to eight forms of Sri Lakshmi that are Santaana Lakshmi, Gaja Lakshmi, Dhana Lakshmi, Dhaanya Lakshmi, Vijaya Lakshmi, Dhairya Lakshmi, Adi Lakshmi and Vidya Lakshmi. This temple also has shrines dedicated to Lord Guruvayurappan, Lord Ganpati and Lord Hanuman. Navratri, Deepavali and Pongal are the festivals celebrated at AshtaLakshmi Temple. Arignar Zoo is located in Vandalur, Kanchipuram District, Chennai. Arignar Zoo was established in 1855. This is one of the popular tourist place in Chennai. Zoo has more than 160 species of mammals, birds and reptiles. It is home for animals like tigers, Jaguars, Lions, Panthers, Elephants, Sambar, Giraffes and many more. Elephant safari is also available in the park. This park is surrounded by Vamdalur Reserve Forest. This park has various facilities which includes an Amphibian house, a Primate house, and much more. It also has an insect museum. The park has a library which has a collection of wildlife related books. Cholamandla Artists Village is situated on the East-coast road near Injambakkam. 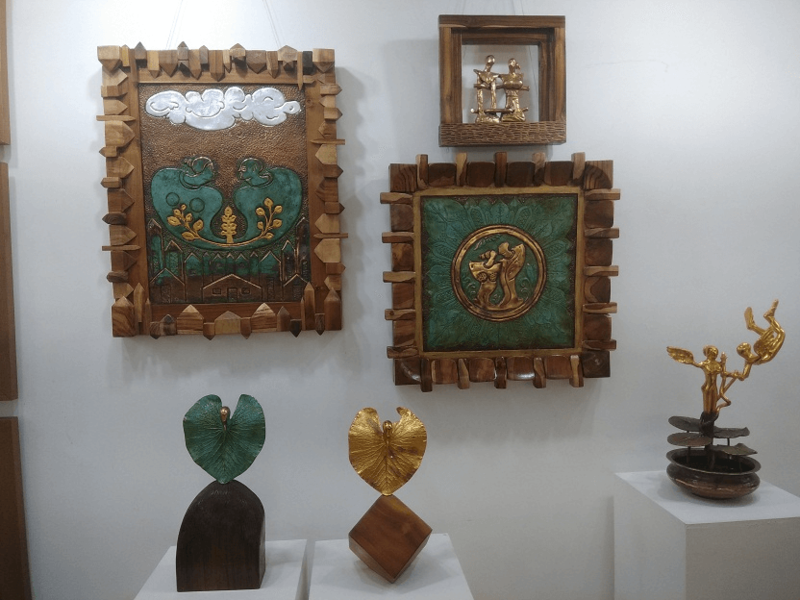 This art gallery consists of Art galleries, open air theatre, dance performances, sculptures, museums, handicrafts, sand and clay art, photography. Cholamandal Artists village also hosts different kinds of artists like a painter, sculptor, etc. the gallery exhibits and displays works of artists who contributed for the “Madras Movement”. 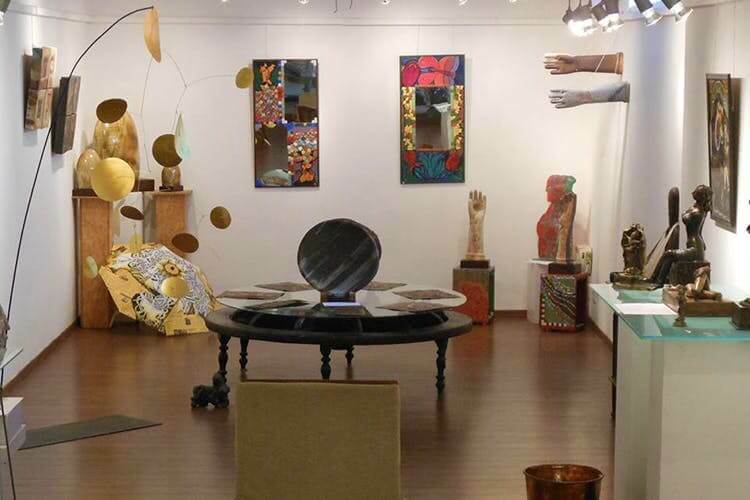 Faraway Tree Gallery is located at Rutlnad Gates off Khader Nawaz Khan Road. It has a handicapped and personalized collection of modern and contemporary artwork. Many exhibitions and workshops are also held in this gallery. Some of the popular names in the gallery are Gopinath P, Keiko Mima, Akmal Husain etc. the faraway tree gallery is the best way to have a memorable time with kids and family. 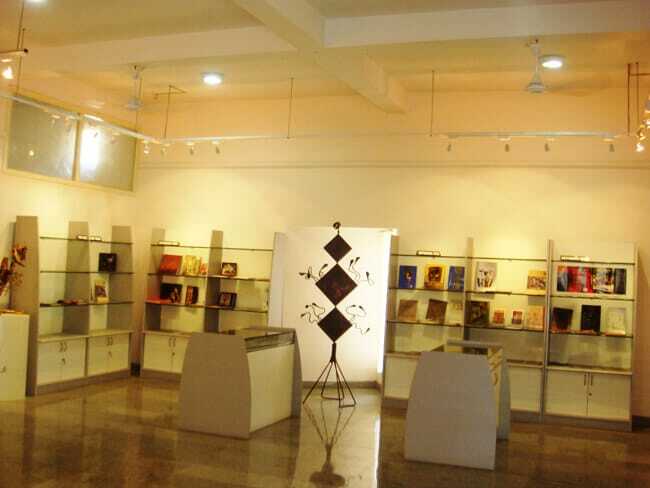 Forum Art Gallery is located in Adyar, Chennai. Forum Art Gallery founded by artist Shalini Biswajit since 1997. Forum art gallery consists of paintings, sculpture, photography, cartoon art, new media and installation art. 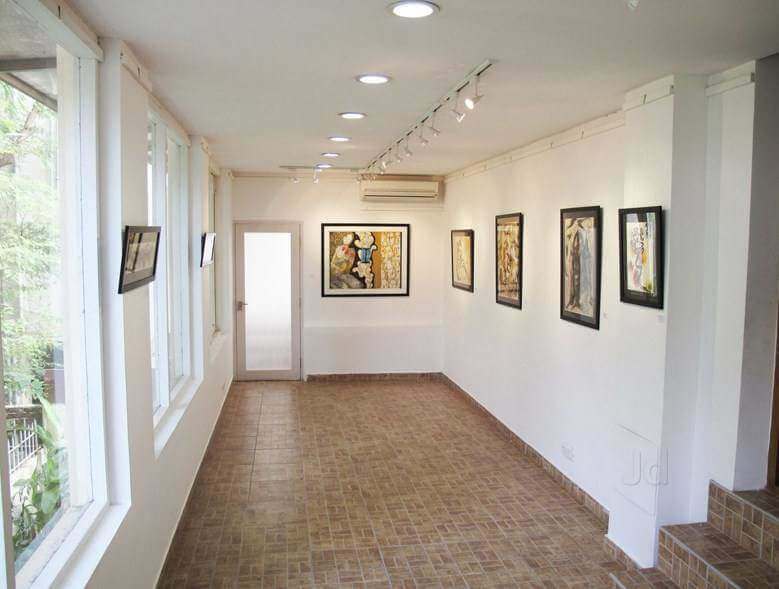 The forum art gallery has association with international organizations like the British Council and the Indo Korean Cultural Centre and the American Consulate Chennai. 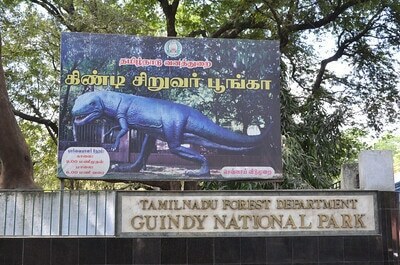 Guindy National Park is home for more than 350 plant species, 150 species of birds, 14 species of mammals and many species of amphibians and reptiles. It also more than 60 species of spiders and butterflies. Mammals spotted at Guindy National Park are jackal, small Indian Civet, Common palm civet, bonnet macaque, hyena, jackal, pangolin, hedgehog, mongoose, squirrel etc. Birds like Grey Patridge, quail, paradise fly-catcher, black-winged kite, honey buzzard, stone curlew, blue-faced malkoha, etc. are also found here. Tortoises, Turtles, Lizards and Chameleons are also found at this park. This park is a picnic destination for families and friends. ISKCON temple is located in the Injambakkam region in Thyagaray Nagar, Chennai. ISKCON temple in Chennai is dedicated to Lord Krishna. 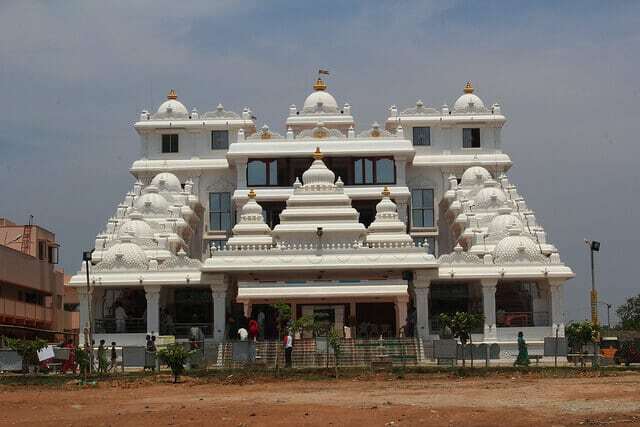 ISKCON is the biggest Radha Krishna temple in Tamil Nadu. It was inaugurated on 26 April 2012. The deity Satyabhama wife of Krishna is also housed in the temple premises. This temple also includes deities of Jagannath, Baladeva, Subhadra and Gaura- Nitai. The temple has 7000 square feet temple hall and an auditorium. Nettukuppam Pier lies near the mouth of the Ennore Creek. Nettukuppam Pier or the broken bridge is the famous spot for the locals to sit there and enjoy the spray of water waves that hit the piers of the bridge. It offers a good view of Ennore Thermal power station, Ennore Creek and other natural sights which includes modern city buildings. 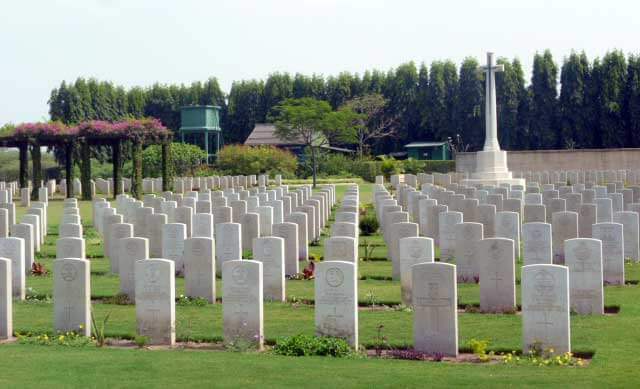 Madras War Cemetry is located at NAdambakkam, Chennai in 1952. Cemetery is a tribute for soldiers who laid down their lives in the Second World War. The cemetery contains 856 Commonwealth burials of the Second World War. The Madras War Cemetery also has three non-wear graves. It also has a ‘Cross of Sacrifice’ in the cemetery. This War Memorial is visited by good number of tourists all around the year. 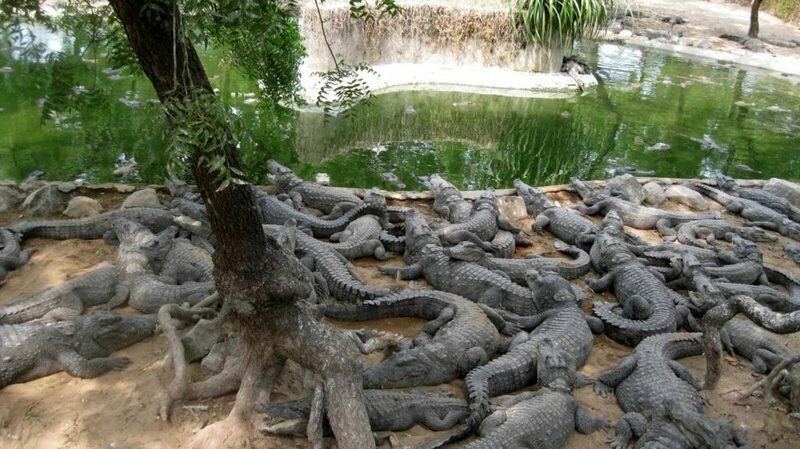 Madras Crocodile Bank Trust is the first crocodile breeding farm in all of Asia. It is a home to 2500 reptiles. This bank was built to keep the crocodiles safe and help to breed. It has around 17 crocodile sub species and some other reptiles like frogs, lizards, snakes and turtles. This park also arranges night safari, guided tours and feeding programs. This Bank is a place to spend a day of learning, witnessing rare wilderness and having fun at the same time. Marundeeswarar Temple is located in Tiruvanmiyur, near Chennai. The temple is dedicated to Shiva in the form of Marundeeswar or Aushadeeswarar. The temple also has statues of Lord Vinayaka and Lord Muruga. This temple has been a place to worship especially for people with diseases. The prasadam here is a mixture of sacred ash, water and milk. Panguni Brahmmotsavam conducted every year for ten days. Shivratri, Skanda Sashti and Vinayaka Chaturti are the festivals also celebrated here. May Day Park is also known as Napier Park. It was established in 1869. It is located in Chintadripet in Chennai. This park was opened to public on 13th September 1950. This park was used to hold political rallies and May Day Celebrations. May Day park is used to organize public meetings. It also has facilities for sports like cricket, football, volleyball and badminton. 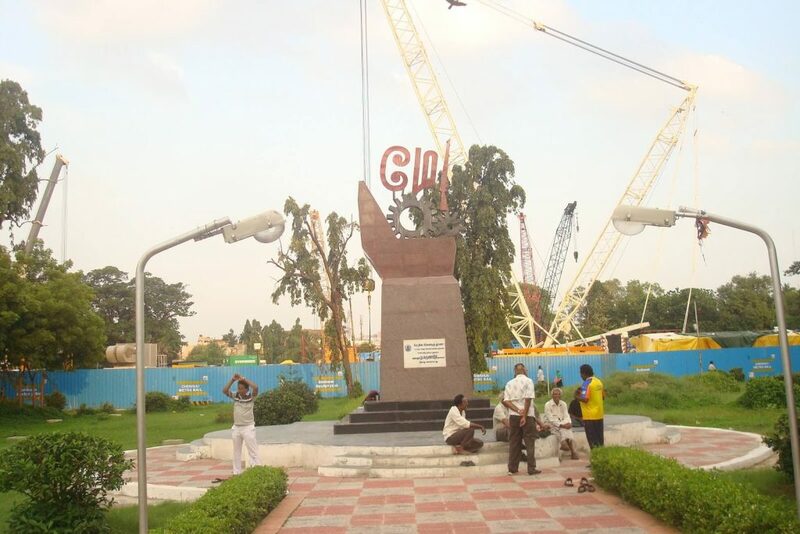 Jeeva Park is located at GN Getty Road, T Nagar in Chennai. Jeeva Park is used for morning walk and jog by many people. During Daytime Jeeva Park is a favorite spot for youngsters and couples for hangout. The park is also visited by family for a picnic to spend some quality time. It is also a children’s play area. 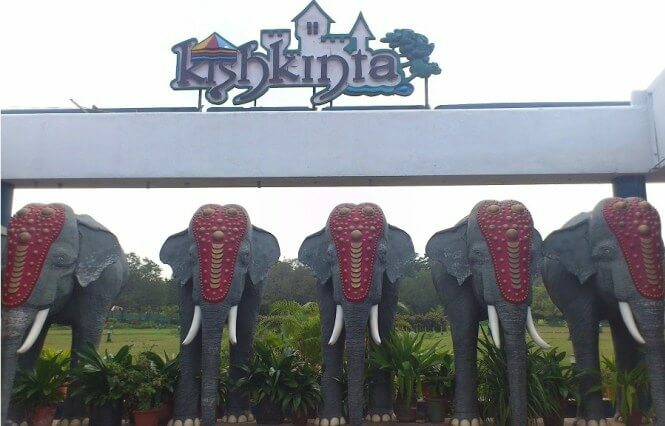 Kishkinta Theme Park is Situated in Tambaram in Chennai. It was established in 1995 by Navodaya Appachan. Kishkinta offers the most amazing, fun water experiences and rides to all. Rides like space shuttle, wave pool, white water and kiddies kingdom can be enjoyed inside the park. It has some adventures rides like Eskimo Ride and Flume Ride. For kids it also has a fantasy land, beauty’s castle, skull cave and kiddies pool. Other rides include sea saws and swings. Other facilities provided by this park are conference halls and amphitheater. There are also changing rooms for both males and females. 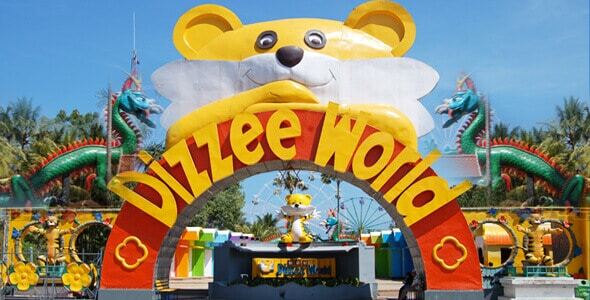 MGM Dizzee World is one of the largest parks in India. It has Jurong’s Bird Show from Singapore to India in 1999. It also has a hot air balloon ride 1998. It also has arrangements for picking up and dropping visitors on the helicopter in 2000. There is a plethora of children’s rides scattered all around the park. It also has aqua park. The park has various fun filled rides and activities like ocean waves. These park also has an amphitheater which hosts variety of events. One can enjoy their time with friends and family. 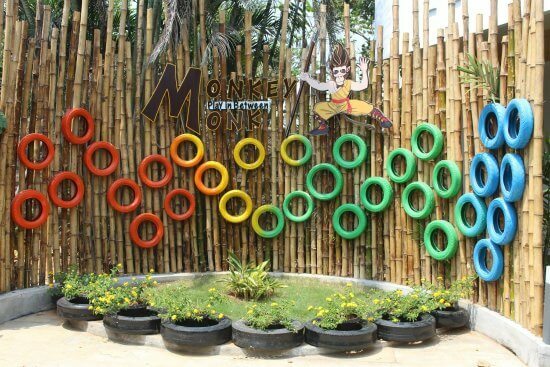 Monkey Monk Park in Chennai is for outdoor activities like rappelling, Burma bridge, zip lining, tyre jump, valley crossing, ladder crossing etc. It also has other attractions like tenting, tribe party, butterfly garden, photo corner etc. Butterfly garden is where one can watch butterflies fluttering and you can just take selfies at the Photo Corner. It also has sports section where one can play basketball, trampoline, cricket and volleyball. This is the perfect place for adventures people. 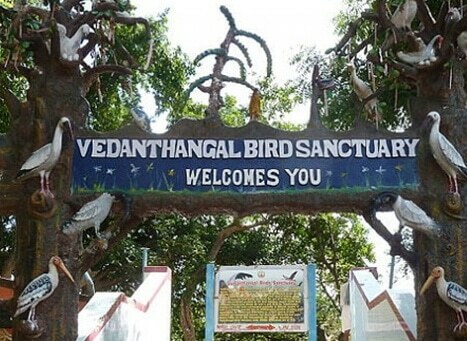 Vedanthangal Bird Sanctaury is situated in the city of Kancheepuram. Vedanthangal Bird Sanctuary is the oldest Bird Sanctuary in India. This sanctuary is a home for around 40000 different species of birds. Birds are attracted to this location because of its various small lakes. Birds can be seen eating, swimming, homemaking, diving, squawking or simple perching on the trees. The Barringtonia mangroves, the rich floating habitat, paddy field and flying creatures make the Vedanthangal Bird Sanctuary. Volluvar Kottam was built by Kalaignar M. Karunanidhi in 1970s. 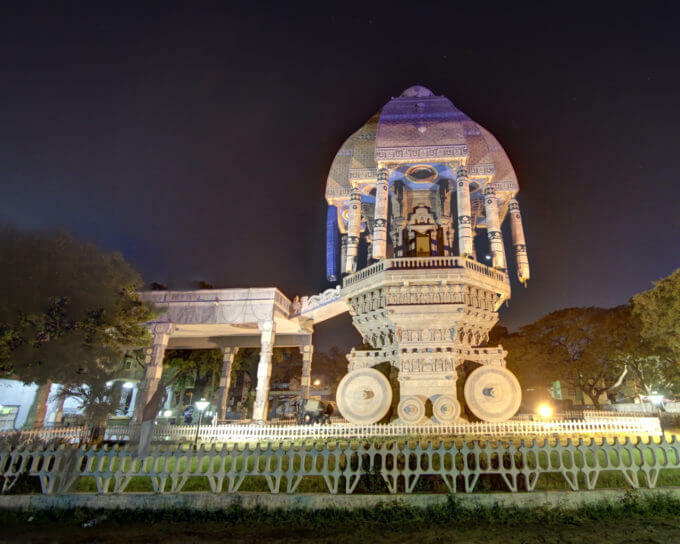 Volluvar Kottam is a temple chariot like-monument which is dedicated to well-known intellectual poet, philosopher and saint, Thiruvalluvar. The architecture of the Valluvar Kottam is like a temple chariot. 3000 stones were used to build it. In the front hall, all the 133 chapters have been inscribed. Even it has a statue of the poet inside the monument. The auditorium of this memorial can accommodate 4000 people at a time. Vadapalani Murugan Temple is located in Vadapalani area in Chennai. It is dedicated to Lord Muruga. Many Sannidhis are present in the temple like Varsasiddhi Vinayaka, Chokkanathar, Meenakshi Amman, Kali, Bhairava, Shanmuga and Devasena. Annaswami Nayakar was the founder of the temple. Infront of the temple is temple tank. 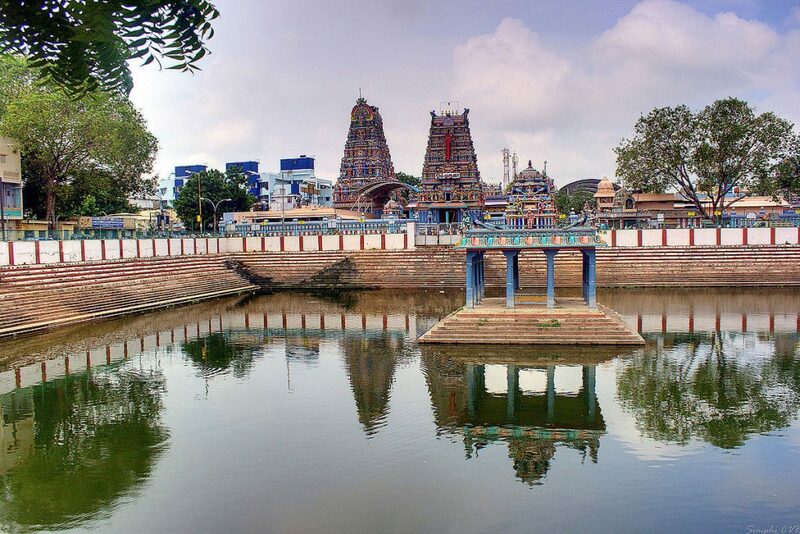 Vadapalani temple has a rich history and an ornate architecture The temple is famous as it helps devotees to find solutions to life’s problems. People come here to find answer to the problems related to marriage, academic and Professional. Skanda Sasti, Panguni Uttiram and Karttikai asterism are celebrated in this temple. Many tourists and devotees visit the temple. It is also the venue for marriage. Secretariat Park is located opposite to Fort St. George. This park was opened in 2009. The Park has a circular fountain at the center. It also has benches for visitors to sit and enjoy. For Children it has sunken court area. Granite Plaza is especially constructed for Yoga and for practicing meditation. The area is used for morning and evening walks. Two public rest rooms are also available. One can spend their time with friends and family. Parthasarathy temple is located in Triplicane area of Chennai. Parthasarathy is one of the oldest temple. Parthasarathy is dedicated to different avatars of Lord Vishnu. The temple houses five different forms of Vishnu- Narasimha, Rama, Gajendra Varadaraja, Ranganatha and Krishna. The temple is built in the Dravidian style of architecture. 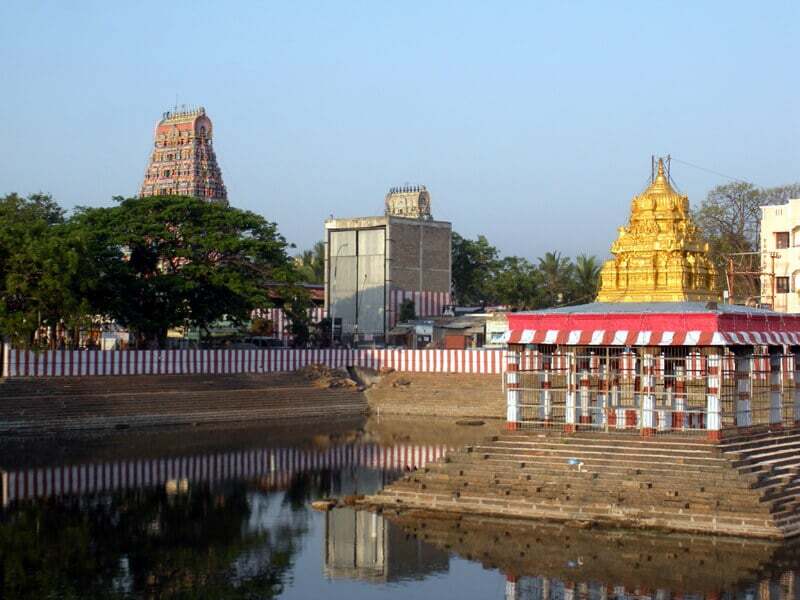 Bhrammotsavam, Vaikuntha Ekadasi and the float festival are the festivals celebrated in this temple. 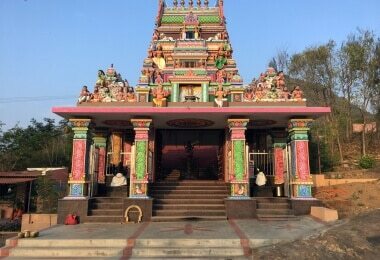 The temple also has a shrines of Lord Narasimha or Thelliya Singhar, Shri Yoga Narasimha, Lord Gajendra Varadar, Lord Rama, Lord Ranganatha, Goddess Vedavalli Thayar and Lord Chakravarthu Thirumagan. Pebble Beach is small beach but have huge waves. The huge waves of this beach is a real fun for those who loves to play in the water. This place is used to relax and spend some peaceful time. There are few restaurants present which caters all types of cuisines like North Indian, South Indian and Non-vegetarian food. The Phoenix Market City is located in Velachery and developed by Phoenix Mills Limited. Phoenix Market city in Chennai is one of the biggest malls in the city. The Phoenix Market City is a place where one can find the best brands, fantastic environment options and superlative dining. 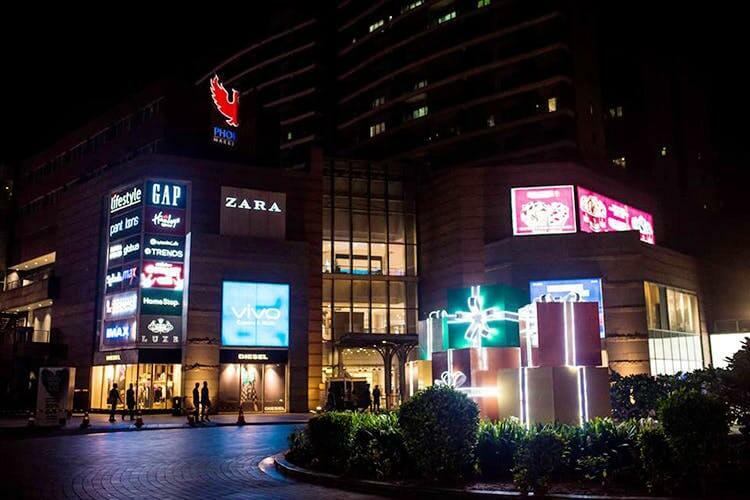 Phoenix Market City are aimed at a quality and brand conscious consumer. This place is the most enjoyable shopping experience with the best products the world has to offer. 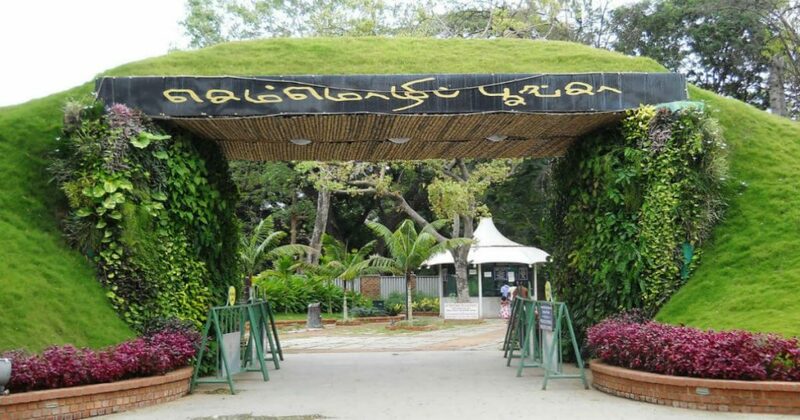 Semmozhi Poonga was opened in November 2010 by the horticulture department of the Government of Tamil Nadu. 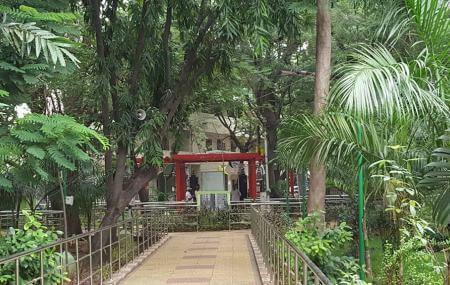 It is the first botanical park in Chennai located in the Cathedral Road. This park has around 500 species of plants. It has a collection of herbs and medicinal plants as well. The park is divided into 8 zones. It also has an artificial duck pond and an open seating area. This is best place to spend time. 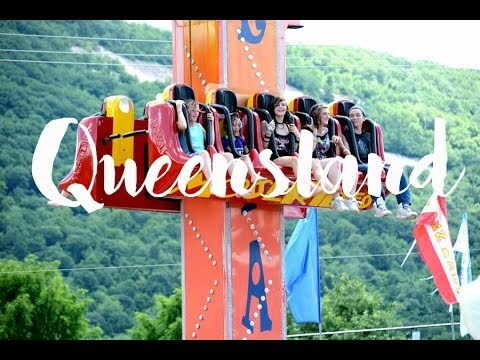 Queensland Amusement Park was established in 2003. The park is located in Poonamallee in Chennai. There are 51 rides like Free Fall tower, Roller coaster, Cable car, Simulation Theater, Octopus, Himalayan Water Park, Bumpers cars, Alpen Blitz, Centrix, Mirror House, Queens Land Fairy Train, Boating and American Wave pool. Even there are some swimming pools for men and women. Food and drink are available within the park. You can spend your time with families and friends. 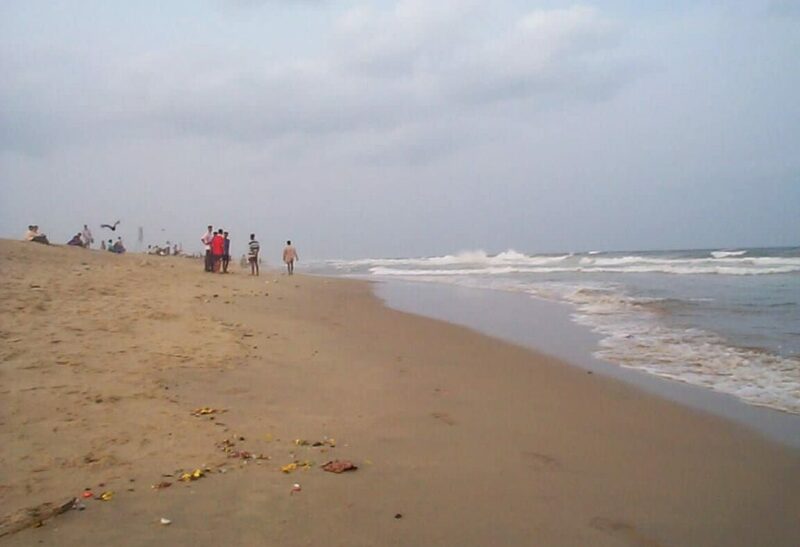 Thiruvanmiyur Beach is also known as Breezy Beach set in the neighborhood of Valmiki Nagar. This beach is popular for sunrise and sunset. It is a perfect spot for people who can walk along the beach or can take dip in clean water. This is famous for turtle hatching. Every year Olive Ridley turtles comes here to lay eggs. A variety of food joints can be found here. Nearby peoples come here for morning or evening walk. The surroundings are very clean. Thousand Lights Mosque is built in the early 19th century by the Wallajah family. Mosque is located on the Anna Salai road in Chennai. As 1000 lamps have to be lit in the assembly hall hence the name Thousand Lights Mosque. The Mosque is dedicated to Imam Hossein. Muharram festival is celebrated in this Mosque. Mosque is built in the traditional Islamic pattern. The walls of the mosque are ornamented with lines taken from Quran. It has a large hall for men and women for prayer. The mosque is visited throughout the year by men and women offering prayers. 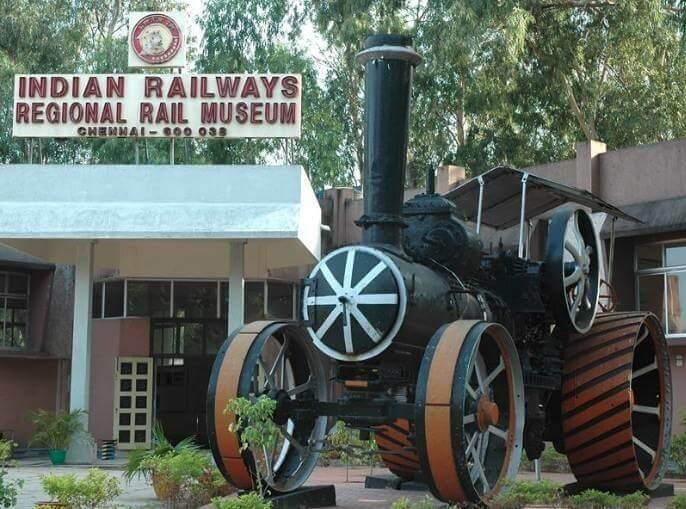 Chennai Rail Museum was opened in 2002. The museum has a collection of indoor and outdoor exhibits. The indoor galleries include various photographs of Integral Coach Factory and the Indian Railways. Even it has a video about Neal’s Ball token system which was used for signaling between trains. Museum has a toy train which offers rides around the premises. Outdoor exhibits have more than 40 models of trains ranging from steam engines to diesel engines. This place is perfect to spend time. 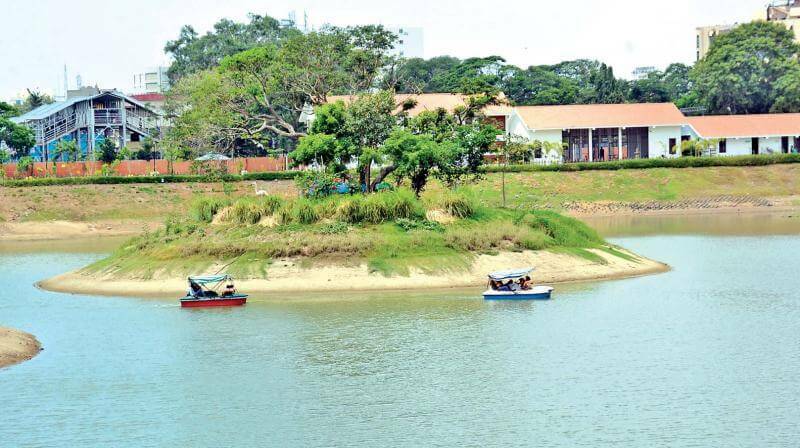 Chetpet Eco Park is a venue for boating and fishing. Chetpet Eco Park has a huge walkway around the lake. This park has a small play area for kids. Even it has a food court with bakery, sandwiches, soups, chaats, tea etc. Two types are boats are available rowing boat and pedaling boat. Many locals come here for jogging. It is the best place to spend time. Gandhi Mandapam was built on Sardar Patel Road, in Adyar Chennai. This Mandapam is built in the memory of Mahatma Gandhi. The place is historically important as there is an urn inside the mandapam that contains the ashes of Mahatma Gandhi. It is built in the temple style and is the largest of the memorials in the complex. The temple is built in such way that it allows entering the sun ray and falling accurately on the spot where the urn containing the ashes is kept. It also has a stone made statue of Mahatma Gandhi. Anna Memorial locally known as Anna Samadhi. 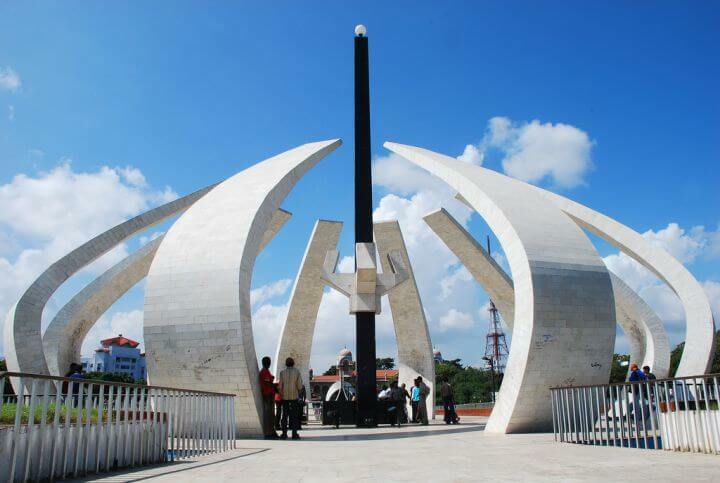 The Memorial structure is built on the Marina beach in Chennai. 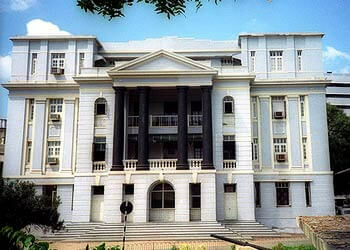 It was built in the memory of former Chief Minister of Tamil Nadu, C.N. Annadurai who was cremated here in 1969. Memorial also has a anna square with never lit-off lamp. The square has sound equipment facilities and books selling store. 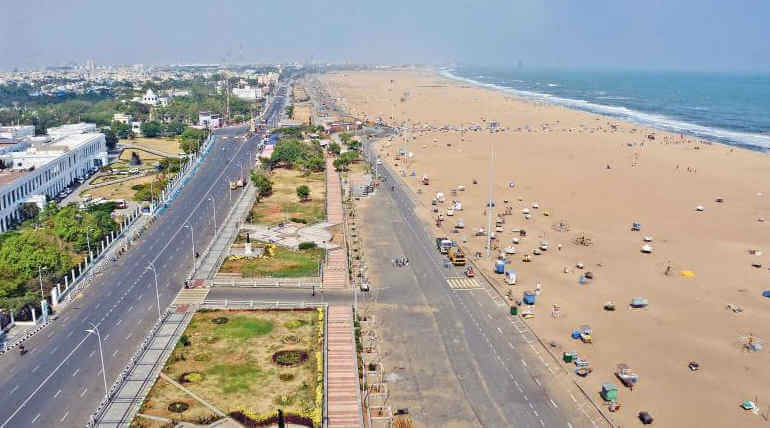 Marina Beach is the second largest beach in the world. The beach is a breeding ground for olive ridley sea turtles. The beach is famous for its silver sand and blue sea. 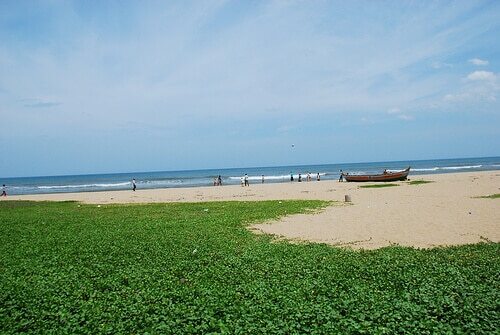 Marina beach provides with a clear view of sunrise and sunset. Marina beach has statues of heroes from Tamil culture. Many activities are conducted like wind surfing, fishing, sun bathing, kit flying and beach volley ball. Marina beach also has aquarium, water fountain, swimming pool and park. The lighthouse situated provides a beautiful view of the city Chennai.